After a brief (and fantastic) three-episode arc in the fall, tonight marks the complete return of Sterling, Mallory, Lana, Cyril, Cheryl, Ray and, of course, Pam to FX. Season 3 of Archer promises to be bigger and bolder than the ones that came before it, with the ISIS team hunting down the forces of evil in the jungles, on trains and... in space! 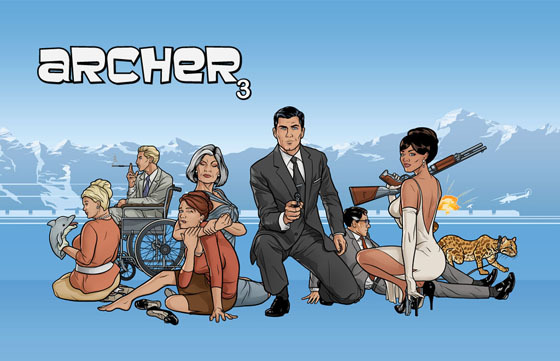 Archer premieres tonight at 10/9c on FX.